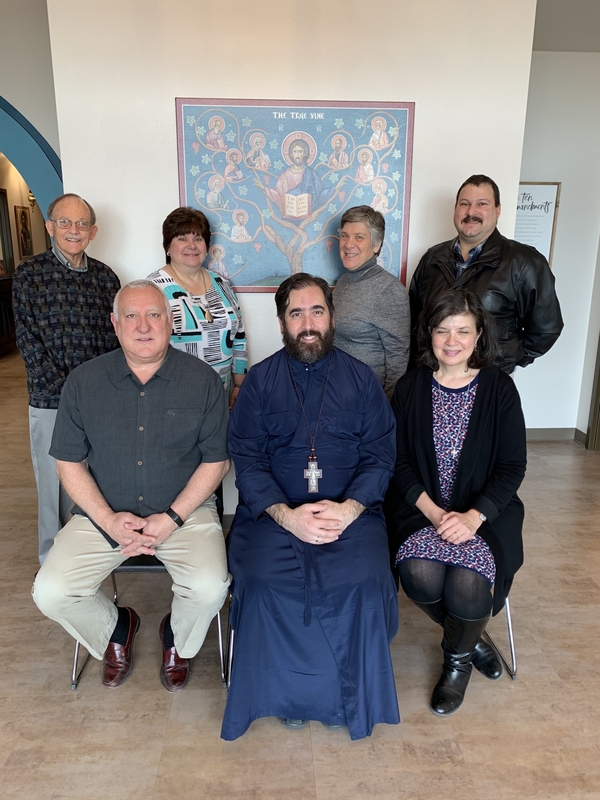 The 2019 Parish Council was sworn in immediately following the conclusion of Divine Liturgy on Sunday, January 13, 2019. Those members who will serve throughout the upcoming year gathered before the Royal Gates, placed their hands upon the Holy Gospel and recited the Affirmation of Office administered by Presiding Priest, Father Christopher Xanthos. "I do solemnly affirm that I will uphold the dogmas, teachings, traditions, holy canons, discipline, worship and moral principles of the Orthodox Christian Church, as well as the Charter and Regulations of the GOA, and that I will fulfill faithfully and sincerely the duties and obligations required of a member of the Parish Council. So help me God." The 2018 Parish Council Members take the Affirmation of Office, administered by Presiding Priest Father Christopher Xanthos.